I’ve got a very special project that I started this weekend that I have to finish before all the chaos sets in! My aunt is turning 90 and we’re having a big celebration in her honor Labor Day Weekend. Last year I knit (and somehow did not document this project) the Betsey Shawl for her in Cascade Venezia Worsted in shades of purple, lavender and pink. She called me on my cell phone when she got the package and told me how much she loved it and loved that I was thinking of her. It completely made my day, so of course I decided to make her something special for her 90th. 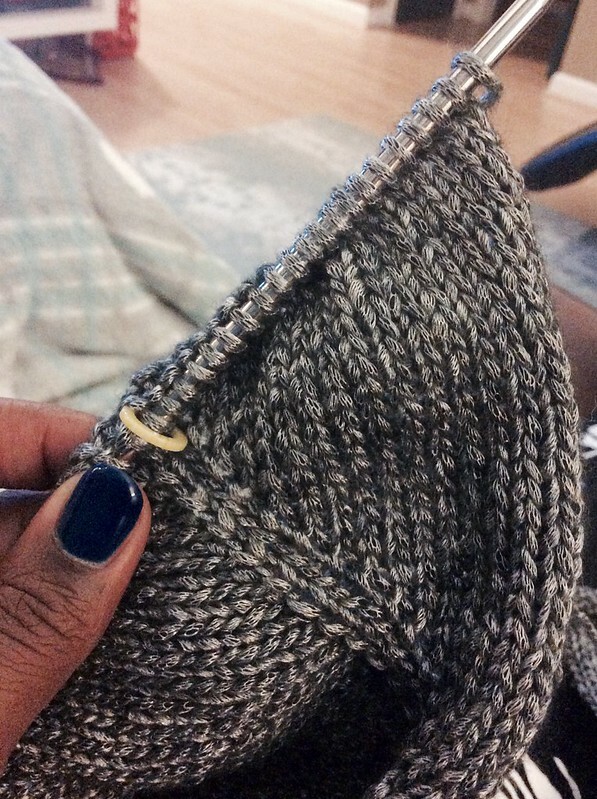 I’m working on the Estelle Cardigan using Berroco Elements in this gorgeous charcoal grey. The yarn is now discontinued but I picked up a ton of it for a steal on yarn.com (with an extra 15% off!). Also, why do all of my favorite yarns get discontinued?! I’m almost finished with the raglan increases and can then separate for the sleeves. I have a feeling this project will fly by and I wanted to make sure it was finished so I didn’t have to worry about it before her party in September. Today is also delivery day! My girlfriend should be getting her baby blanket and cardigan today AND I knit a SECOND Togue Pond Tank after my BFF kept dropping hints and it should arrive on her doorstep today too. I’ll post more on it this week, hopefully with her and a sweater selfie wearing it. I’ve pretty much ordered all of my yarn and am trying to sort out what projects I will be making. I definitely see a cozy knit jacket in a bulky weight for myself, a pretty cardigan for work with some awesome Miss Babs yarn I got at Sheep and Wool Festival and then a laundry list of projects for my husband, sisters, mother and cousin. So little time and so many projects. I’ve got a few things I’m mulling over so I might post asking for some help deciding soon! So what’s on your needles lately? What are you dying to make for fall? I can’t believe you’ve finished that tank already! Love the color scheme. And that yarn you’re using for your grandmother’s gift … amazing! I love the color and the sheen. That F.O is going to be amazing. Right now, all my fall/winter queue consists of is spinning, dyeing and maybe if my dislocated thumb decides to cooperate — finish my first sweater and first pair of socks. I have a few other little F.O.s I need to finish as well. Im throwing those in the pile but right now, the sweater and the socks are the only new things I’m adding. Sorry about the thumb but I know spinning and dyeing will keep you occupied. I actually cast on another Togue Pond tank for myself last night. HA! I was waiting to get a ball of the Modern Cotton in black so I could do all the ribbing in black and then it will be dark teal and light grey color blocks. I might be a bit obsessed with this pattern. It’s quick, easy and so good to wear! Thanks for the well wishes. I’ve knocked off the spinning for a while since drafting hurts. 😦 But it’s beginning to feel better so I’ll be patience and dye in the mean time. HAHAHAHA well, I like organization and things in order! On the needles: a scarf and my first sweater. 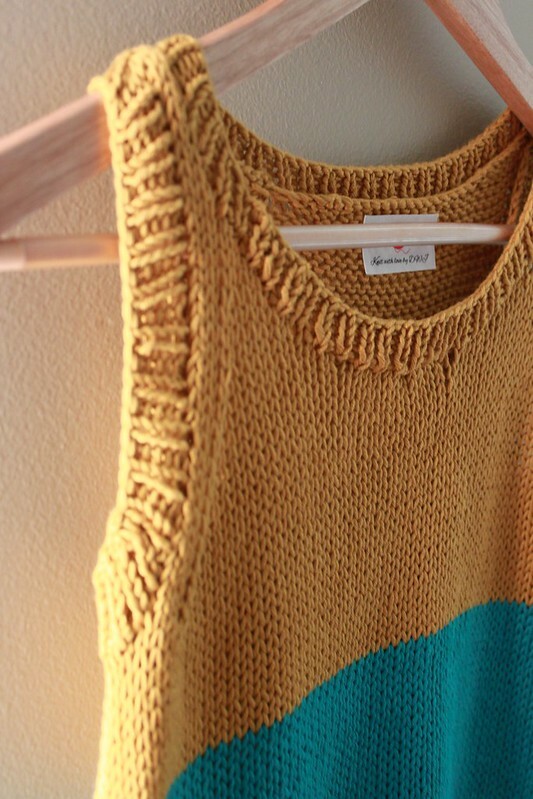 You are seriously inspiring me to just keep on knitting! You are wicked fast! It’s fun to watch! First sweater!! YAY! I remember how nervous I was to do my first sweater, now I’m addicted!